Within 3 minutes walk of Bartley MRT Station on the Circle Line – A delightful high-rise development with unblocked views overlooking low-rise estates on 2 sides. Botanique @ Bartley location is nestled within the long-time private residential neighbourhoods of Paya Lebar and Bartley, in a popular condo belt. Right next to Bartley Residences (100% sold out), diagonally opposite Bartley Ridge (96% sold), and 6 minutes walk from Maris Stella Primary & High School. Botanique at Bartley is a brand new condominium being launched for sale by the UOL Group, on the city fringe. Within 3 minutes walk of Bartley MRT Station on the Circle Line. A delightful high-rise development with unblocked views overlooking low-rise estates on 2 sides. Botanique @ Bartley location is a home on the city fringe, within 15 minutes drive to the CBD and Orchard Road. Botanique @ Bartley location in a private residential estate, with unblocked views and wind flows on 2 sides. Botanique @ Bartley location is 5 minutes walk to a Circle Line MRT Station, that is just one connection to all the other MRT Lines. One MRT stop to NEX megamall at Serangoon MRT Interchange, with its supermarket, food outlets, shops, banks, etc. Three MRT stops to Junction 8 at Bishan. Participate in the growth and appreciation of value that will come with the roll-out of the exciting Paya Lebar Square and Paya Lebar commercial hub development down the road. Just register here if you would like to be kept updated on Botanique at Bartley. 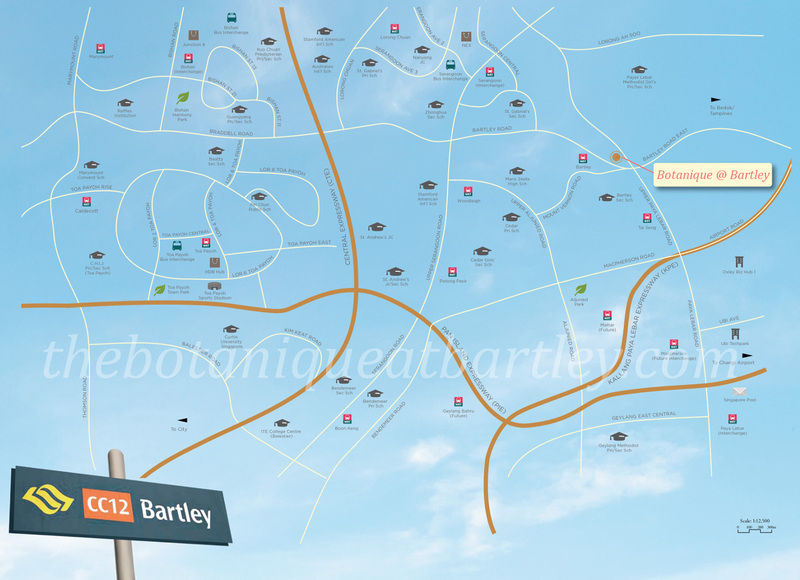 This entry was posted in Botanique at Bartley | Botanique @ Bartley and tagged bartley condo, bartley new condo, Botanique @ Bartley, botanique bartley, condo, condo launch, developer uol, location, property viewing, show flat, showflat, viewing on August 20, 2014 by eugene.